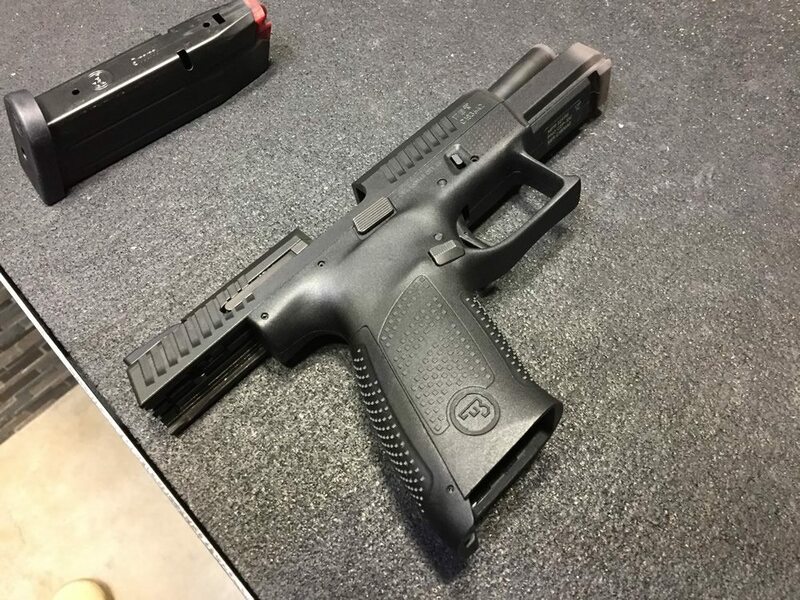 Shooting Review: The CZ P-10 C | Eagle Gun Range Inc.
For years, companies have worked to challenge Glock’s position in the market, fueled mightily by the success of the sweet-spot Glock 19. The CZ P-10 C is the first one to make so direct a challenge; going so far as to supposedly “fit most Glock 19 holsters.” In some ways, CZ has produced what some might call a more attractive G19, but is looks all there is there? CZ is a company known for making high-quality pistols for both defense and competition. I’m sure I was not alone in being a bit surprised when they announced this stylistic and functional departure from just about anything they’ve ever done. From appearances, it would seem to be a worthy challenger to Glock’s model 19, but the proof is in the shooting. I recently got to spend some quality time shooting the P-10 C and here follow my first impressions. Why Consider the CZ P-10 C? The P-10 C is a direct challenge to the Glock 19. Like the G19, the P-10 C is a large-ish compact, striker-fired pistol made for everyday carry and duty. This new CZ pistol could be considered for several reasons. Chief among them are if you want a good value on a quality pistol that asks for little or no modification. You might also consider the P-10 C if your primary concern is trigger-action quality. You might also consider it if you like the Glock 19’s features, but prefer a better grip contour and a more attractive design. Now, because CZ has deliberately created the P-10 C as a direct competitor to the Glock 19, I will be making some direct comparisons along those lines throughout this review. Those comparisons cannot help but be colored by the fact that I shoot 40k to 45k rounds through a Glock 19 every year. One could say I’m quite used to that platform. Let us see if this P-10 C is actually a Glock killer. Trigger: ~4.5 lb. ~5.5-6 lb. Weight: 26 oz. 23.65 oz. The first thing I noticed when I brought the CZ P-10 C up onto target is that the grip angle, while similar to the G19, is slightly less acute. This means that if you’re used to shooting a Glock pistol you’ll have to bring the front sight of the P-10 C up a bit when you press out to the target. As very few pistols have a Glock-like grip angle, this is to be expected. However, the P-10 C’s grip angle is not so vertical as most Sig or 1911 pistols. Once I got the hang of the proper grip angle for press-out, I found the P-10 C easy to shoot accurately. The 3-dot sights are easy to pick up and the round goes where it’s supposed to go. Surely part of this easy accuracy comes from the much-celebrated trigger on this pistol. Yes, the trigger is very good. It has a smooth takeup, a crisp break, and a veeerry short reset for a striker-fired gun. It breaks at around 4.5 pounds. This trigger is superior to anything you’re likely to create in a Glock with polishing and/or aftermarket components. While running a friend’s model on the practical range, I found Bill drills and other fast-shooting to come easy with the P-10 C. CZ is deserving of praise for this trigger. I find that I like how that a firm magazine seating into the pistol with a locked-open slide will send the slide home. Apparently, this is a deliberate feature of the action. Good on ‘em. This is something that is possible with some Glocks, but is not predictably repeatable. The one negative thing I immediately notice is that the P-10 C seems to have a bit stronger recoil impulse than I find on a Glock 19. It’s not tremendous, but it is noticeable. I chalk this one up to the fact that 1) the grip is a bit narrower than on a G19, so the recoil is directed to a smaller area, and 2) the bore axis, while low, is very slightly higher on the P-10 C. Moreover, since the CZ has no frame flare in the area one would rest one’s support thumb to help mitigate muzzle flip, that tool is removed or diminished for control. This P-10 C has a far-more plush hand fit than is found on the G19. The grip contours are a bit spartan as compared to other CZs, but still quite nice. I almost got the impression that I was putting my hand into the gun rather than gripping the outside; a feeling due in part to the pronounced beavertail-like upper rear frame. As I mentioned earlier, I found it slightly less controllable than a Glock 19, owing to a slightly more pronounced recoil impulse and an inability to rest my support-hand thumb on the forward frame. CZ textured that thumb location on the frame, but it is pancake flat and offers little in the way of purchase for control. The difference in controllability is just slight, though, and not a compelling issue. Though the P-10 C is roughly a half-inch taller than the Glock 19, it has the same 15+1 capacity. This is not terrible, but one would hope that it would mean one or two more rounds. Mildly disappointing. The P-10 C’s frame is made from fiber-reinforced polymer and touts an aggressive texture similar to yet more pronounced than that of a Gen 4 Glock. A few of the folks I’ve spoken to who have purchased the new CZ say they’ve sanded down this texture slightly. I can’t imagine why one would do this, as the texture is still not rough enough to be called “grippy.” It’s a good texture, but I’d prefer if it were sharper. I still say this frame requires stippling. The glow-in-the-dark 3-dot sights are made from aluminum. This is not optimal, but it sure beats plastic sights. I expect a serious devotee would want to replace these with irons, perhaps with Tritium dots. As has been reported elsewhere, the magazine release (available on both sides!) is quite stiff and requires a strong, straight press to release. The control is rather small and I’m not a fan. I prefer the larger, flatter control found on the Glock 19. I’m told that the release will loosen up in time and have no reason to doubt this claim. The frame and the slide are attractively contoured, but free of useless frills. I applaud CZ’s choice to make the pistol completely ambidextrous rather than side-swappable. The barrel is quite robust, especially the barrel lug. Not sure why they felt this was necessary, but I believe it’s a nice feature. 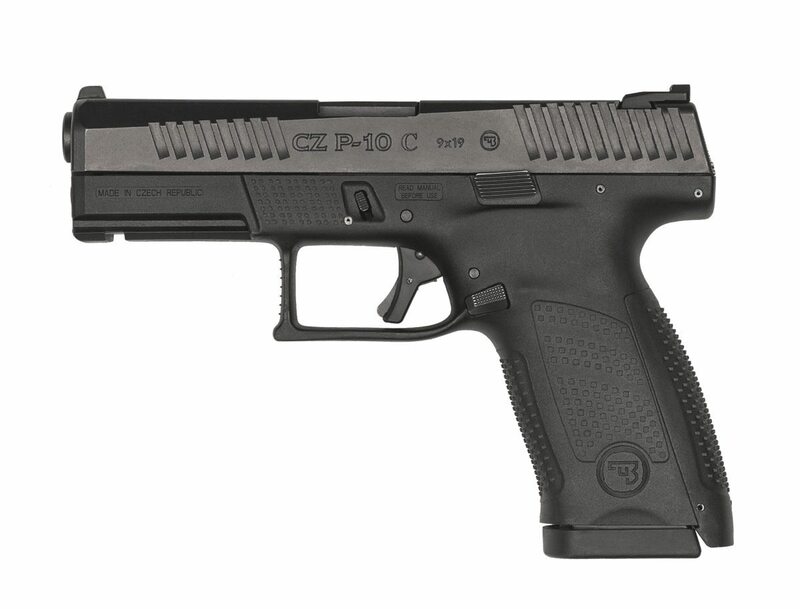 The P-10 C is an accurate, simple, attractive, comfortable pistol with a fantastic trigger. The grip contour is much more comfortable than that of a G19 and the sights are metal rather than plastic. Getting all of this at roughly $100 less than you’d pay for a Glock 19 makes this pistol hard to ignore. The P-10 C is slightly larger and heavier than a Glock 19 and replacement magazines are more expensive than the Glock’s. While it fits into some G19 holsters, it won’t fit into G-Code Incog holsters (which are by far the best holsters for concealed carry). The magazine release control is a bit fussy and small. Felt recoil is slightly more with the P-10 C than with a Glock 19 and the frame is not conducive to physical management of muzzle flip. The P-10 C fits like a glove and I see nothing wrong with the ergonomics of its design (short of a forward thumb rest). 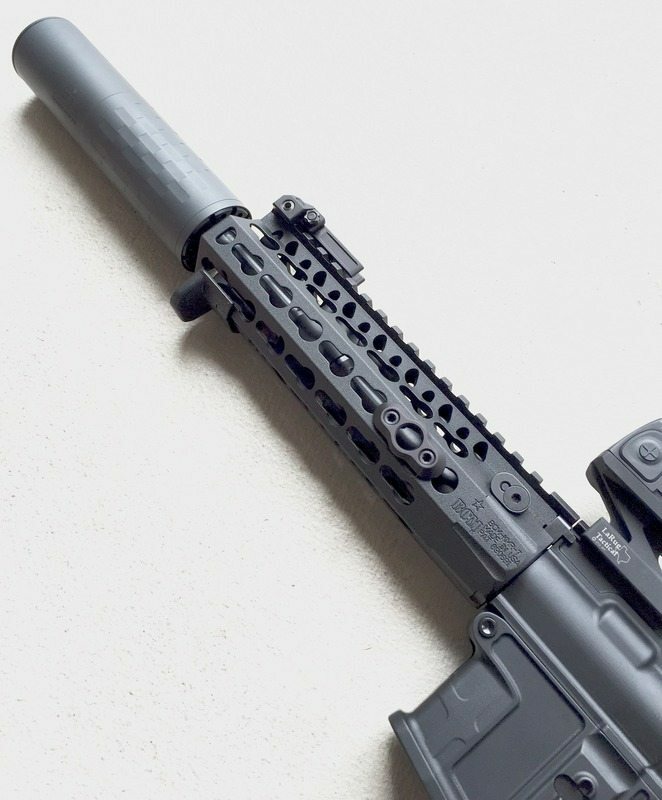 There’s very little wrong with the shootability of this pistol. I’m giving it 4 stars instead of 5 as a comparison to the Glock 19, which I find to be pretty flawless in its shootability. I find nothing to complain about here and found it easy to be accurate with this pistol. I think the CZ P-10 C is something close to the very definition of a good value. Yes, there are some small shortcomings, but for the price you’re not likely to find anything close to this quality and these features. While I reserve judgment on its reliability and longevity, the CZ P-10 C is simply a superior value to the G19…out of the box. There are particulars related to everyday carry that prevent me from wanting to replace my Glock 19 with a P-10 C, but it’s hard to find anything truly wrong with CZ’s new pistol. One could not compare this newcomer to the long and storied history of excellence and reliability of the Glock, but time will tell many things. I’ll be interested to see how the market for components and holsters responds to the advent of this pistol. If it is truly to be the Glock killer it was conceived to be, that response will have to be pretty darned robust. In the mean time, the CZ P-10 C is an excellent effort and worth anyone’s consideration. I Love mine, although Heavily modified from the Get go,but that is just me! Simply a Better pistol in feel and function!Get this and forget a Glock !The Quality is no comparison! I’ve long bad mouthed Glock hand guns because they just did not fit in my hand right and didn’t seem to aim or point well. However, once I fired my son’s service G-21 in 45 cal., I found that it was a very smooth shooting pistol with very little felt recoil, and most surprising, I could hit small groups consistently with it. Not to mention that I’m a Smith and Wesson fan. I’m very interested in trying out the CZ-P-10 C in both 9mm and 40 cal. It sounds like it has all of the features I’m interested in plus the value and quality too. After watching/reading the reviews, I rented one of these and ran 50 rounds through it. I think it is a decent gun, but my delicate flower office worker hands noticed 1) The safety blade on the trigger was rough on my finger, when it goes bang. The trigger itself is nice. 2) the mag pinched my pinky finger a bit, when it goes bang. The grip texture did not bother me at all (I shoot a S&W M&P 9 2.0 with an APEX DCEK aluminum trigger kit). It’s a nice pistol, just uncomfortable when it fires, for me personally. Shoot it before you buy it. If you work with your hands, you probably won’t notice this stuff. Picked up a 9 mm czp10. After a thousand rounds I sold both my Glocks. Out of the box for the money 465 .00 the quality is unbelievable. No need to buy a new Barrel or trigger or slide release or steel sights. $100 less than any Glock and no need to upgrade. This gun fits and shoots like a dream thank you CZ. Only time will tell on the reliability. I pick up a newer CZ-P10C and I must say I really like the ergonomics. While I know all hands are not the same it just feels like it was custom made for my hand which makes it really easy to aim. I was in the military and shot the Glock a ton. Differences I noticed with the CZ – trigger was outstanding compared to a Glock – no need to upgrade, metal sights – not afraid to rack it off a table, curb or boot – however wish they offered the black model with the same tritium sights on the FDE model, low bore axis – recoil management feels better and second follow-up shot is easy. Things that bothered me at first but are not a problem anymore – stiff mag release. Working it while watching TV has fixed this issue by breaking in the mag release. Slide release – this sucker is stiff but the slide will drop by Itself when you slap in a new mag. Guessing that this will improve in getting more rounds through it. Great gun at a great value. My wife gave me a P10C for Christmas (Great deal; she paid $391) I haven’t had the opportunity to fire it yet, but dry fire shows a great trigger, can’t say it feels any better than my G19, but range time will provide a better answer. . . However, the slide release is EXTREMELY stiff, and that’s a bit annoying. I assume this will work itself out. (I’d like to replace it with one that sticks out a bit, rather than being flush) My wife cannot work the slide release. It fits perfectly in my StealthGear appendix IWB holster, made specifically for a G19, so that’s a plus. Very much looking forward to shooting it next week, after the first of the year.